So one of the world’s longest-serving leaders has been ousted in a coup and few will shed tears for outgoing President Omar al-Bashir. 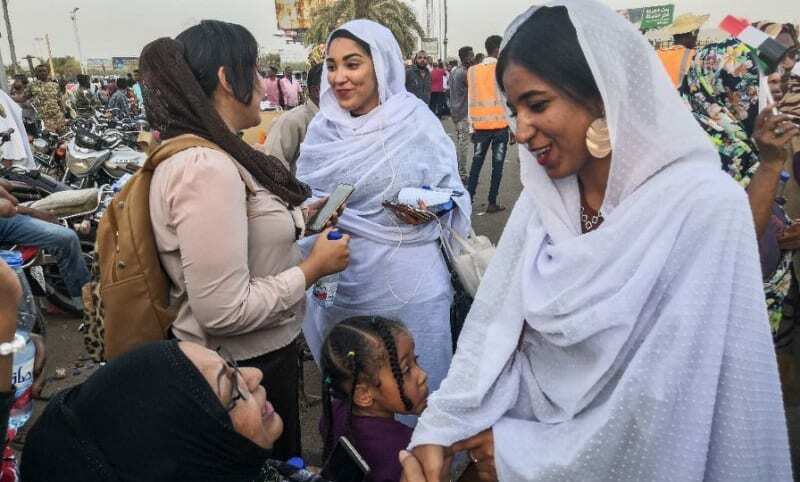 However, these are exciting times in Sudan and I truly believe that the role played by women was one which tipped the scales in favour of this revolution succeeding. I’ve visited Sudan many times and the women there are among the most empowered and educated I’ve come across on my global travels. The younger ones have run this Arab-Style Spring from their social networks and media as well as being highly visible out on the streets, alongside the men. Their youthful presence has contributed to the peaceful calls for change and they must continue to be visible and remain on the streets for theirs is an important voice that must be heard. Sudan’s military coup leaders have ominously warned all protesters they will adopt “zero tolerance” if confronted with disturbances. While the generals insist they’re not seeking power, protesters in Khartoum are yet to be convinced and they have reason to be fearful because some of the military leaders involved in the coup are still very close to the former president. I just hope and pray Sudan’s women to continue to lead the way and when it’s time for all sides to talk those exceptional ladies should be given a place at the head of the table. This is their revolution and they have more than earned a role in mapping out Sudan’s bright future where the young can erase the damage and corrupt legacy of the old guard. Thousands take to the streets in Sudan – 19 killed!